Anambra guber: How the 5 top contenders (political parties) fared in the 21 LGAs. Thanks to God Almighty for the peaceful and successful election in Anambra State! Well-meaning Nigerians citizenry need the in-coming Governor to be democratcally all-inclusive, in every sense of democractic transparency and honesty! Every sort of political marginalizations, nepotism, militarization, brutality, oppressions, suppressions and social injustices, must be totally avoided in Anambra State, just as we democractically desire likewise in all other States and Federal Government in NIGERIA! 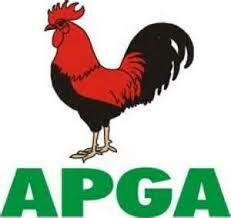 APGA do not belong to Obiano, APGA belong to Ojukwu, APGA belong to Biafrans. No legitimate election by law took place in Anambra State Of Biafra. The statistics of the 21 LGA’s is reaffirmation of majority Igbos democratic decision of Republic Of Biafra of the five south east states- which will be defended in the ongoing Revolution War of the natives of this territory- South East, South South, South West, North East, Middle Belt etc. against Fulanis enemy with their illiterate caliphate, their illiterate politicians, their illiterate military circle etc. hidden under the fraudulent political name Nigeria. Liberation of the natives has come, Freedom of the natives has come- under the natives’ Disintegrated Republics- Biafra Republic of south east, Niger Delta Republic of south south, Oduduwa Republic of south west, North East, Middle Belt etc. This is 21st century world. God Is With Us!! !